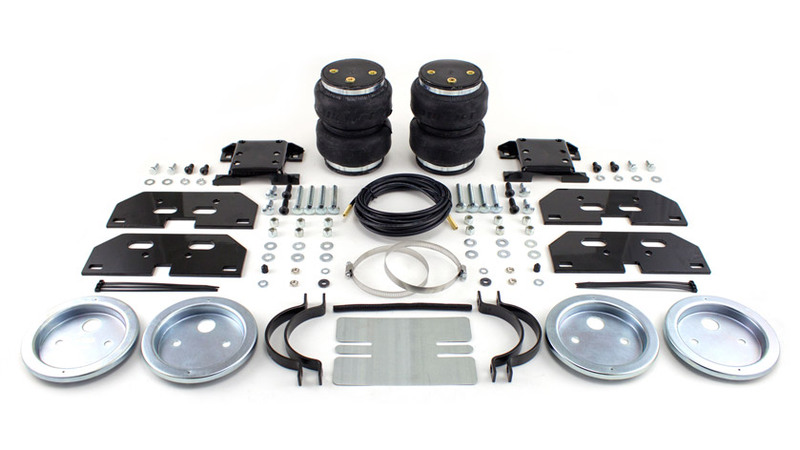 LoadLifter 5000 ULTIMATE adjustable air spring kits feature all of the benefits of our heaviest rated air spring with the addition of an internal jounce bumper inside the spring for the ultimate in ride comfort. LoadLifter 5000 ULTIMATE works with your vehicle’s leaf springs to provide up to 5,000 lbs. of load leveling capacity* and keeps the vehicle riding stable, level and comfortable whether loaded or unloaded. Includes industry-exclusive 60 Day No Questions Money Back Guarantee and the most comprehensive Lifetime Warranty in the industry – covering all kit contents including brackets, fittings and air line. 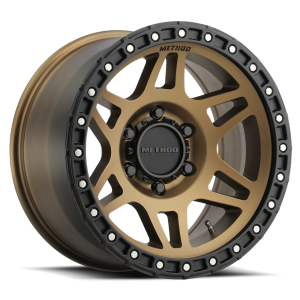 Air springs are built like a tire and are reinforced by durable,2-ply fabric for maximum strength. Exclusive upper and lower roll plates are included which protect the springs from sharp edges, such as brackets or the frame and help increase load capacity up to 10%. A fully illustrated instruction manual. LoadLifter 5000 ULTIMATE air springs can be easily inflated and deflated on-the-go. 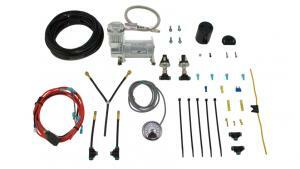 For convenient air spring control at the touch of a button, add an Air Lift On-Board Air Compressor System. 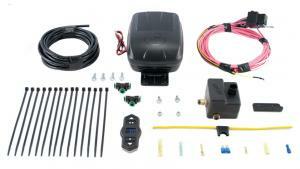 These systems are great for changes in load, weather or road conditions. 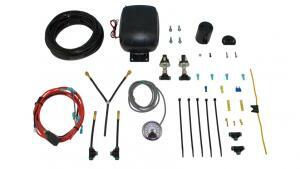 Air Lift offers wireless models as well as models that mount in the cab. Air Lift compressor systems are the most advanced in the industry and work with all brands of air springs. 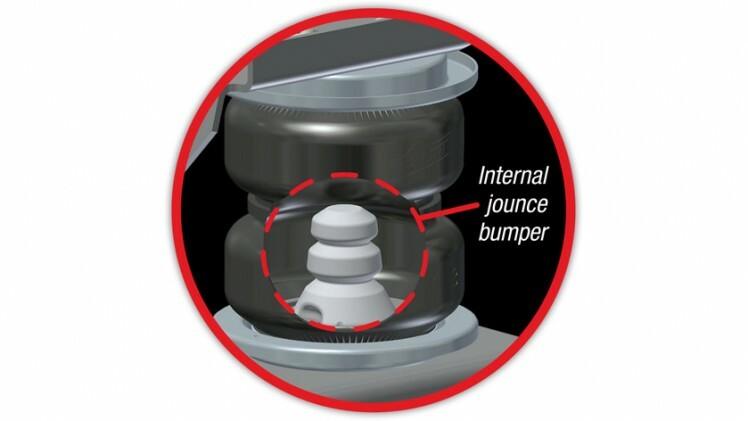 All Air Lift adjustable air springs are backed by the best warranty in the industry and we are the only company that provides a Lifetime Warranty on air springs and hardware. We also offer a 60-day “No Questions Asked” Money Back Guarantee. 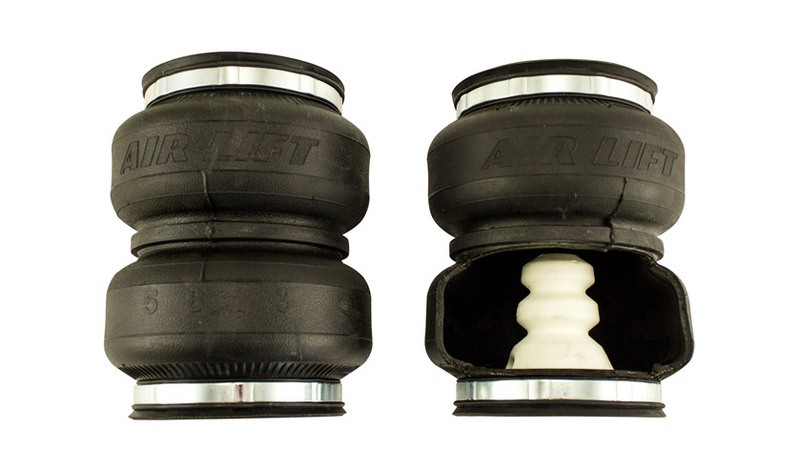 If you’re not happy with your Air Lift air springs, simply return the kit to the retailer or installer where you purchased it to receive a full refund. Air Lift air spring kits are quality tested in our ISO 9001:2008 certified facility. 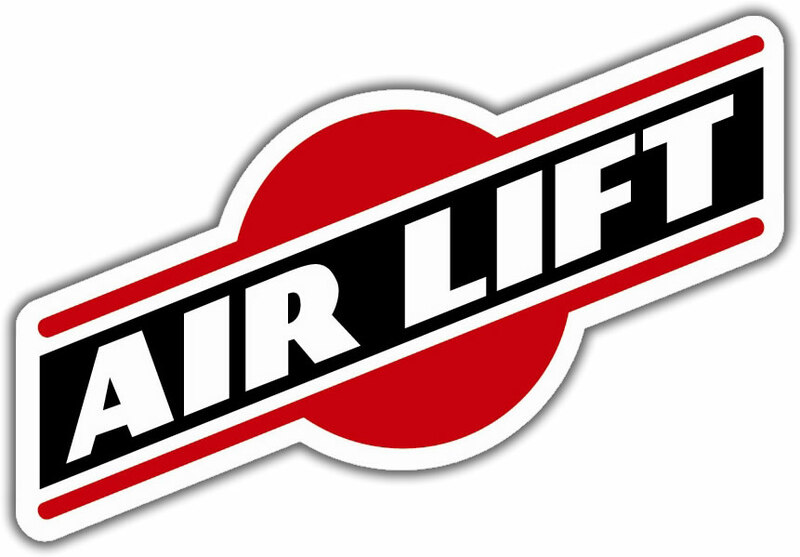 ISO 9001:2008 standards ensure Air Lift products meet the highest level of safety and comfort.